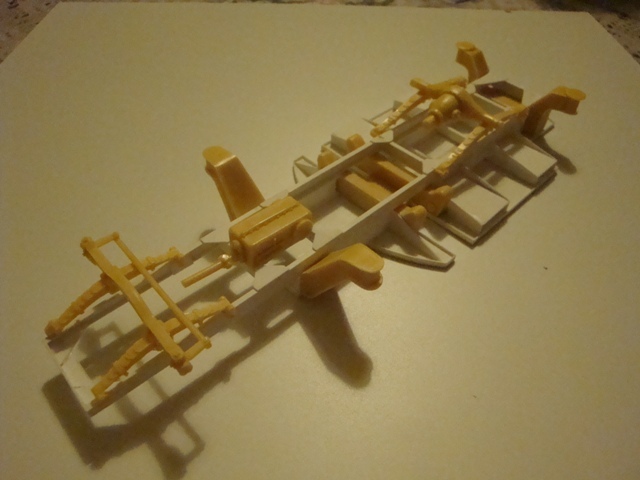 Finally I am back, but before kicking off with the Scharnhorst, I decided to assemble some kits to steady out my hands, as these would be easy meat; or at least I thought it would be. A few years ago, I bought a resin kit , whilst participating in a scale model exhibition in Black Pool UK. The kit is produced by Criel Models of Italy, and produce mostly italian WW1 and WW2 vehicles and field guns. This is great as Italian subject are a bit scare, and to say it all, they had some very good vehicles, especially for the desert terrain. 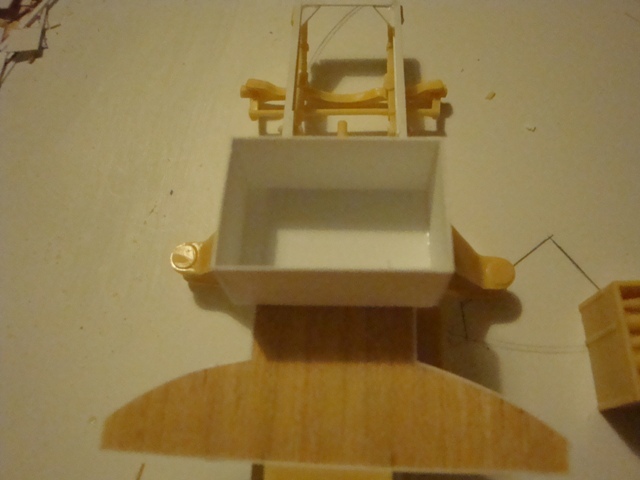 As I said, the kit is in resin. it basically consists of a Lancia Heavy truck with a 90mm calibre anti-aircraft gun. the kit itself is would be a great subject to build, but the resin castings are a total mess; so i decided to reinvent the wheel. The early models were equipped with a timber laminated platform. this was done to create a non slip platform, but later models incorporated only a steel platform, thus creating a slippery and dangerous work platform, especially in the winter conditions. One must also put in mind that military shoes and boots at that time, included steel studs at the sole. I of course decided to go for the timber laminated platform. 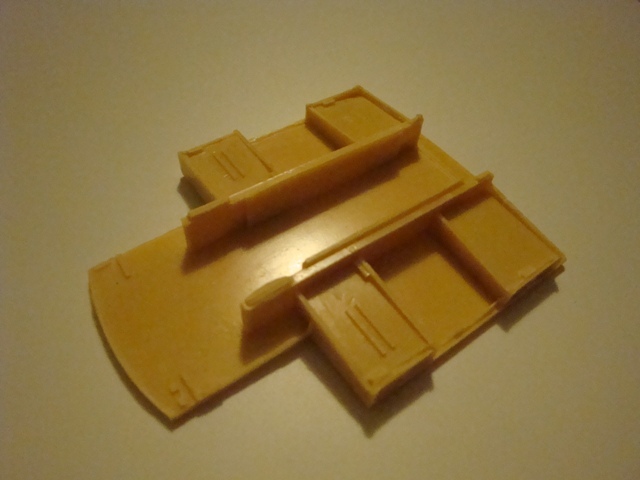 both the chassis and the gun platform are made from styrene profiles and sheets. Here are some pictures. Shall be able to post more in the afternoon. 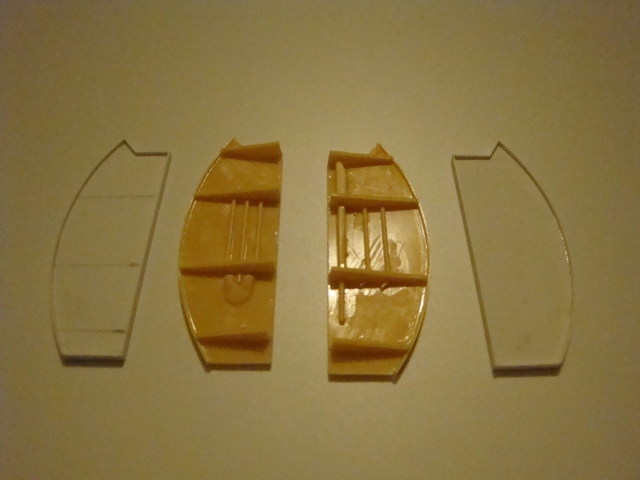 The front sheet of the instuctions, showing clearly the sheer size of the model. 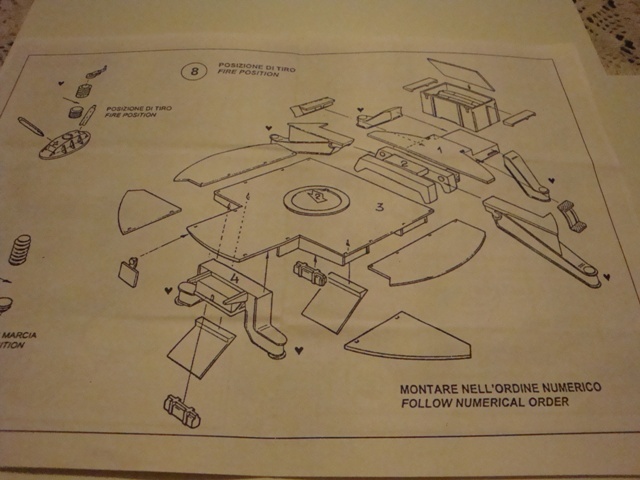 The layout of the chassis. 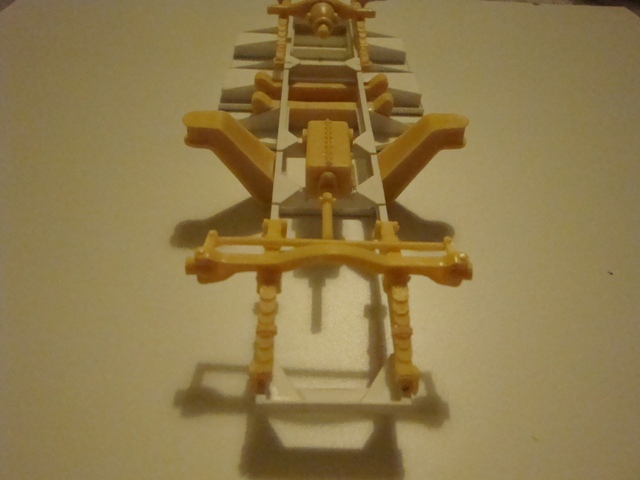 The layout of the gun platform, including the stabilizers. 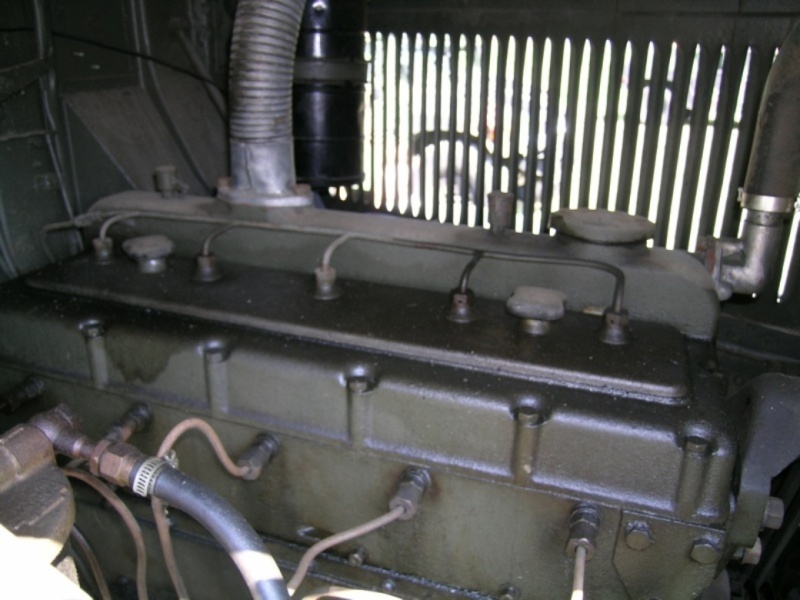 An overall view of the rebuilt chassis. I, of course had to incorporate the resin pieces as well. The gun platform, revealing the timber lamination planks. The gun platform supplied with the kit. 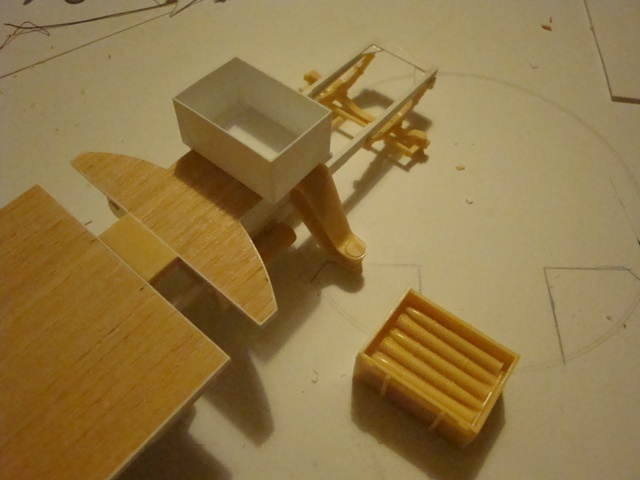 The four tool storage drawings shall also be constructed from scratch, and true, not casted like the resin counter part. A rear view, revealing the warping. 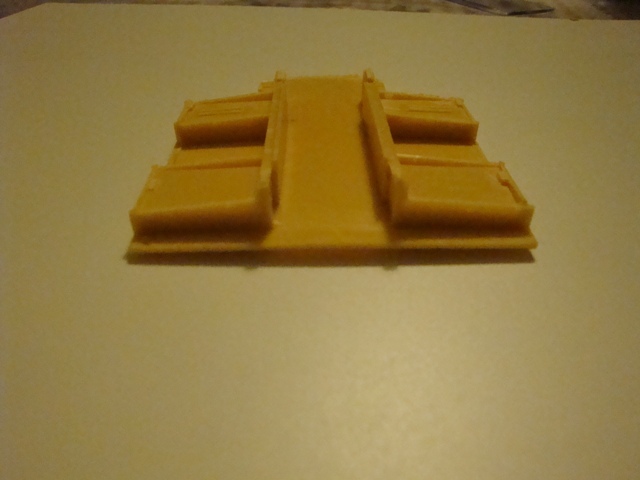 Another view showing the warped platform. Will post more pictures today. What colour and brand do you suggest for Italian vehicles, North African Campaign 1941. The Ariete Division used this gun extensively. 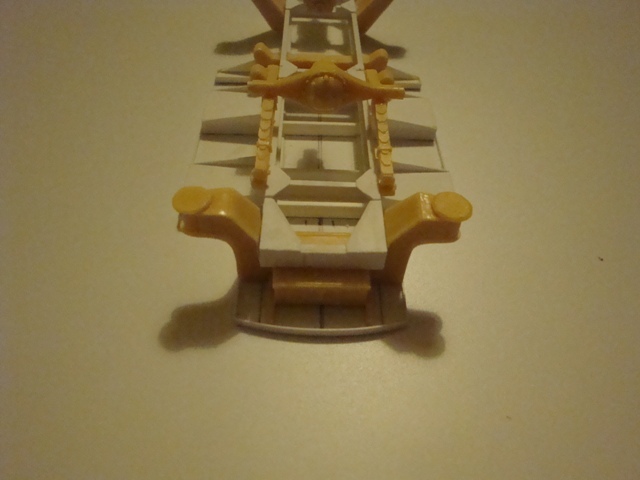 The front part of the gun platform. Very crude. The resin cast truck chassis. 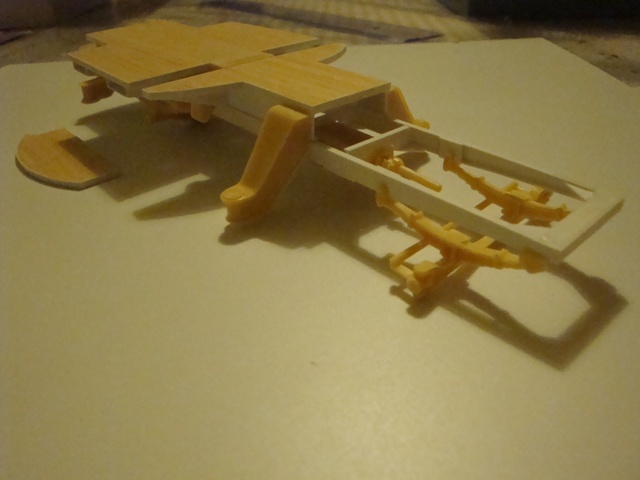 View showing the newly constructed chassis, with the rear suspension springs and gun stabilizers in place. View of the underside of the side platforms. Still a lot of work to do. One thing is that all the tools will be separately held in place by means of proper leather type latches. Better then the cast resin product. The top view of the side platforms, showing the timber laminate. A rear view, showing the gun platform. Still four more pieces to construct, in order to complete the circular form. 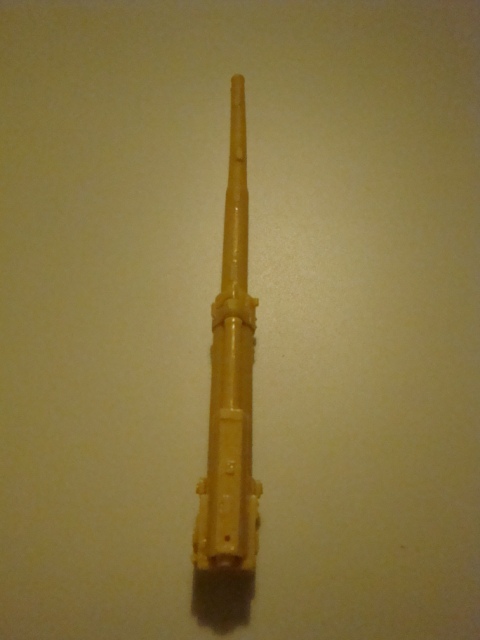 A view of the resin gun barrel. I guess that the lathe will do the trick to produce a new aluminium gun barrel. The ammunition storage box. 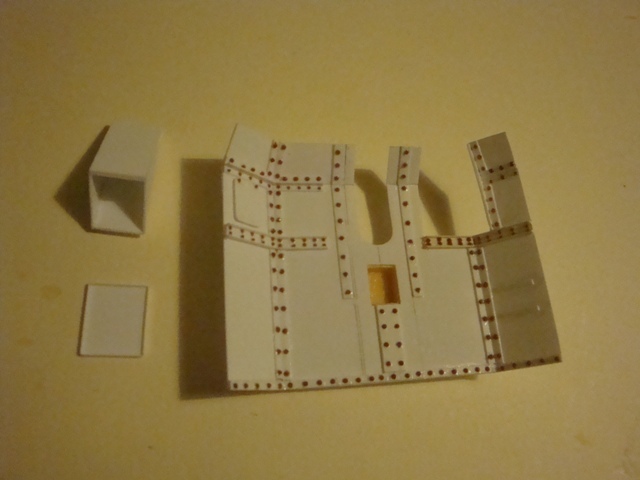 Will completely rebuild this, with styrene card. the ammo lay blocks will be done with proper timber, while the ammo itself shall be supplied by RB models. Will upload some more pictures tomorrow. Brilliant work Paul, so much for a quick build!!! i agree with ivan lifecolor. you are a lucky bugger that criel kit as with all other criel models are not available any more hopefully they will be re issued by somebody else as the owner passed away. Yesterday, I invested some more time on the project. Actually I really enjoyed it, as scratch building is one of my favourites, and building this model, is getting me in the right mood for the Scharnhorst. To tell you the truth, I never experimented with acrylics till now. Do I need to apply a special base coat? Alex, the Criel Models site is still active, and if you need to order some items, you need to send them an e-mail or a fax, with the items you need, and they will instruct you as how to forward the payment. The ammunition stowage box. still a lot of detailing to go in, but at least, it started to take shape. A close up view of the ammo storage box. Once complete with the wooden blocks and the ammo, it will be just fantastic. 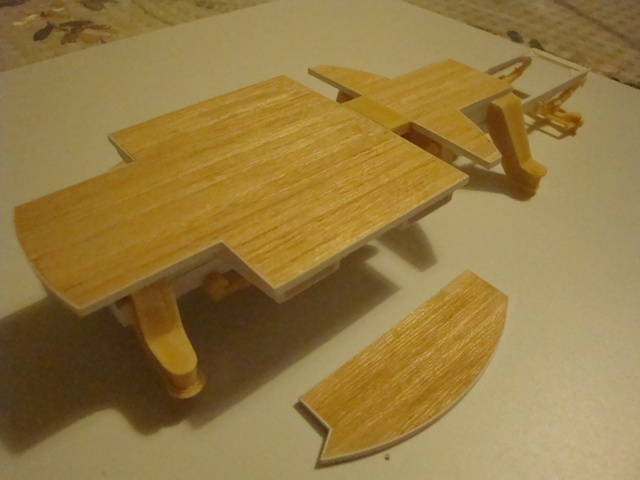 The rear foldable parts of the gun platform, with the timber planking. A view form the underside. A front view of the gun shield. 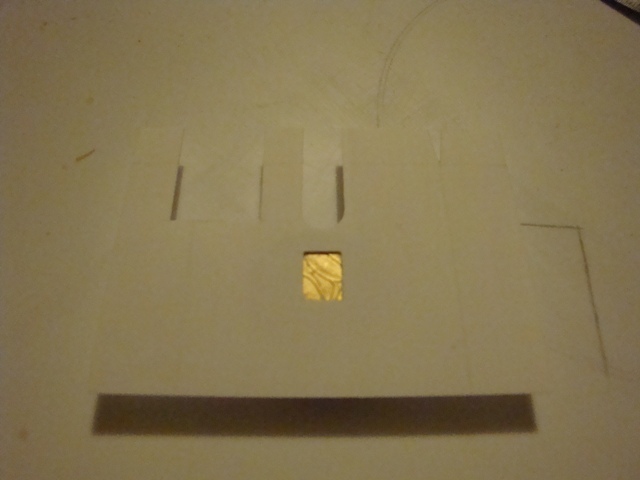 I am thinking of redoing it again, as the thickness of the shield itself exceeds 1.5mm. At a scale of 35, the true thickness of the gun shield would be of 52.5mm; and that is impossible. 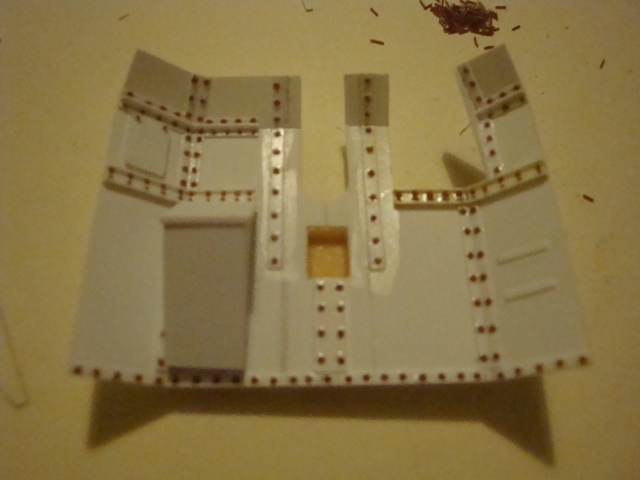 I shall use 0.5mm thick styrene sheet, evergreen products and Tichy Train group 0.4mm rivet heads. A bit of hard work, but I think it will be worth it. The left hand side of the gun mounting. 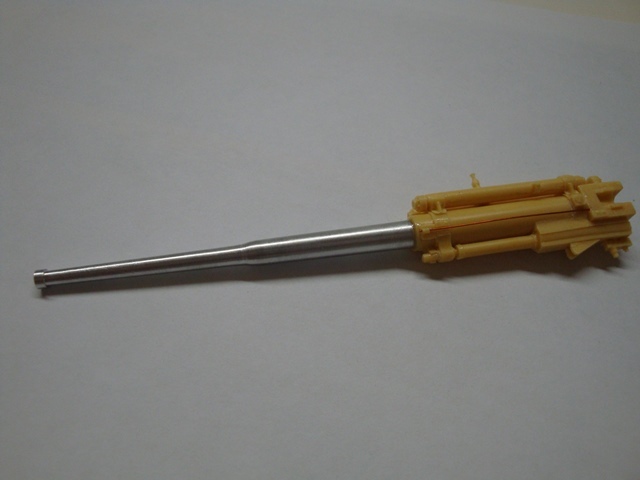 I think it will go undergo the usual treatment of the surgeon's scalpel blade as well. Will be posting more pics to morrow. Lifecolour are proper acrylics [not like tamiya or gunzo], so they mix with water or preferably their designated thinner [more recommended if you do not want to clean your a.b. in intervals]. If you like to weather and punish your model with mixed media like enemels and oils I would rather give it a good coat as primer, like MrHobby, GamesWorkshop, Tamiya and Vallejo, some available as aerosol cans. Paul the detail on the gun shield is not bad as per kit, actually it is very nice. Can't you thin the edges to the thickness you require and keep it. 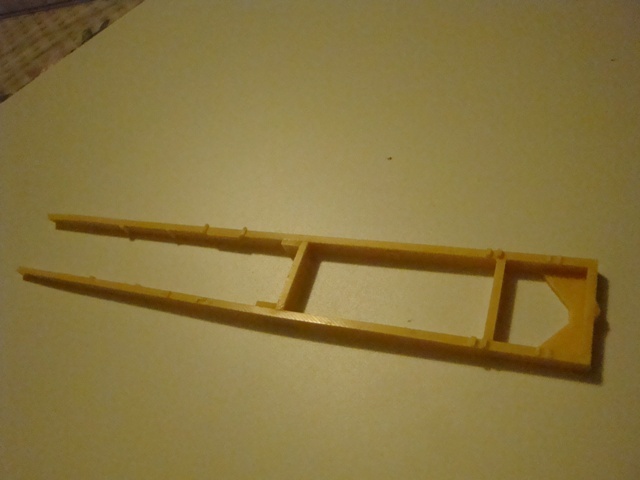 That would be enough just like we thin down the trailing edges of the wings to a blade edge. YHou don't have to thin the centre of the part also. The eye will only see the thickness because you see the edge of it. Just my idea. Brian, yes you may have a point, but I am a bit finiky and maybe the way I do things, is a bit over the edge. I prefer to things the better way, then trying to modify and correct. It will only take a few minutes to create the gun shield, while the Evergreen profiles work a wonder. if I want to go into more detail, I can use the catering tin foil to create the steel reinforcing struts. Believe me, once you see the finished product, it's worth all the work. You are right of course, roll on the shield and let's see it. I AM NOT COMMENTING ON THIS THREAD AFTER THIS STATEMENT!!!!!!! I WANT TO SEE THE SCHARNHORST IN THIS LIFE, SO THIS IS ALL WASTED PRECIOUS TIME EVEN THOUGH YOUR WORK IS JUST AS AWESOME!!!!!!! I AM FEELING & FEARING THAT WHAT I TOLD YOU "YOU WILL NEVER FINISH HER" IS LOOMING VERY NEAR!!!!!!! Keep on dreaming Habib. the Scharnhorst will be ready in this life. The Scharnhorst is such a big project that sometimes one has to work on something else as well to break off a bit; and the house needs it's bit of maintenance as well. What you do not know is that the Scharnhorst is now placed in a dedicated room, with a system which controls both temperature and dehumidification. So you see my friend, whilst you have thought that I have abandoned the ship, in actual fact I was finalising and finishing the docks. 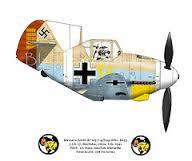 This model will only engulf a couple of months, then it's back to the Scharnhorst. By the way - something that I also forgot to mention is amount of information related to the hull detailing, that I managed to find. Research is also part of the project. 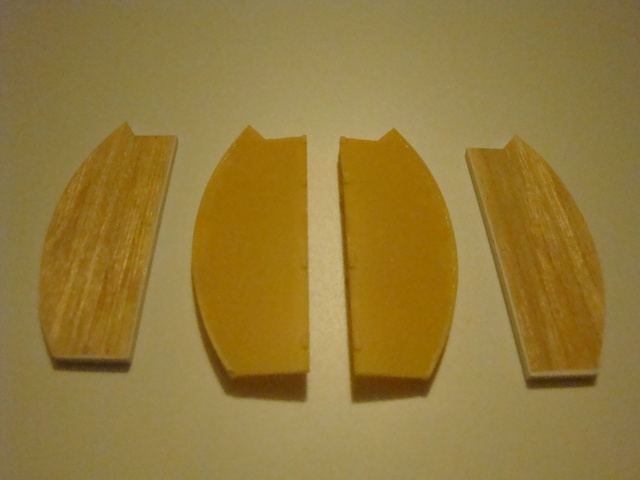 Did not have much time yesterday, but at least I managed to cut out the gun shield. 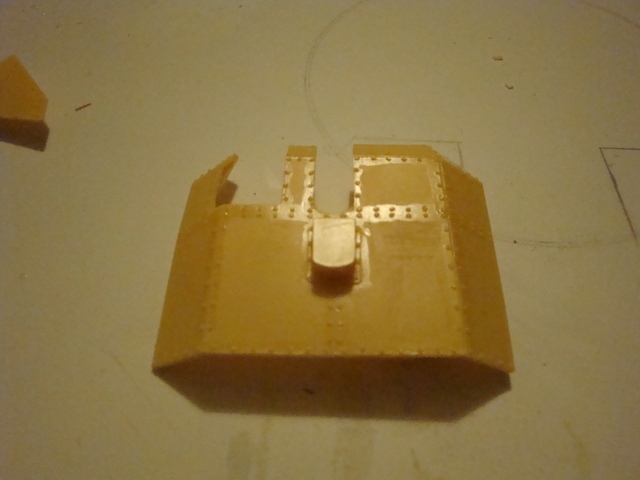 I used a 0.5mm thick styrene sheet, and sanded it down to 0.35mm aprox. 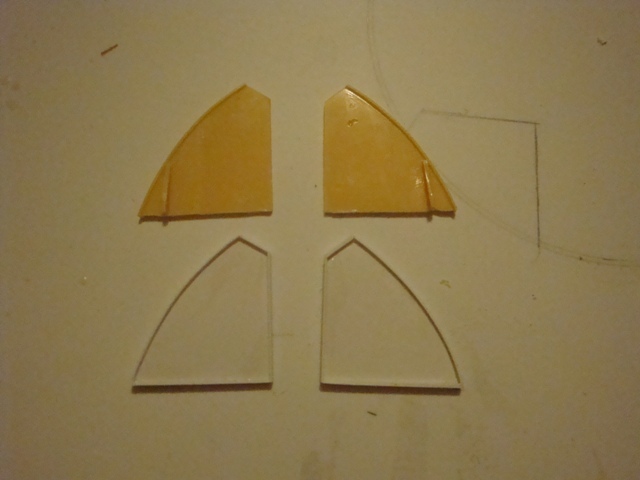 This way, even when I add the Evergreen styrene profiles, the thickness will still be in reason. 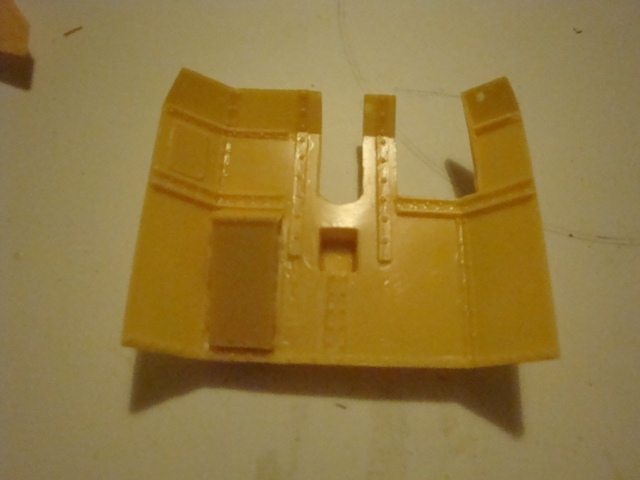 The picture shows the full area of the gun shield, but what is not visible is the undercut lines, so that I can bend the sides and top of the gun shield, as per the original one. 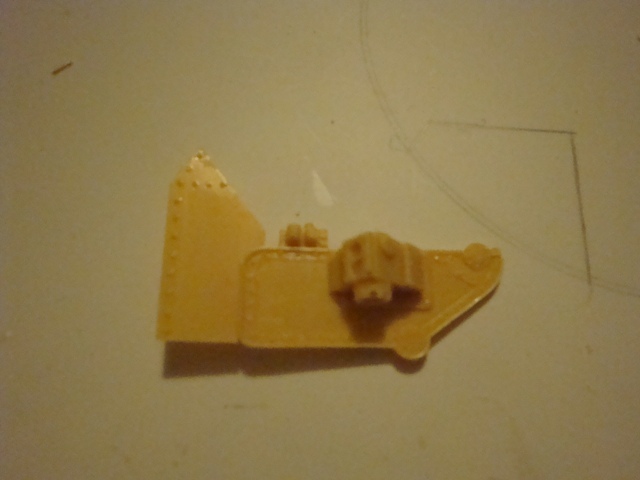 before doing this of course, I have to prepare a jig, to keep the gun shield in place until the adhesive settles in. Why use adhesive? 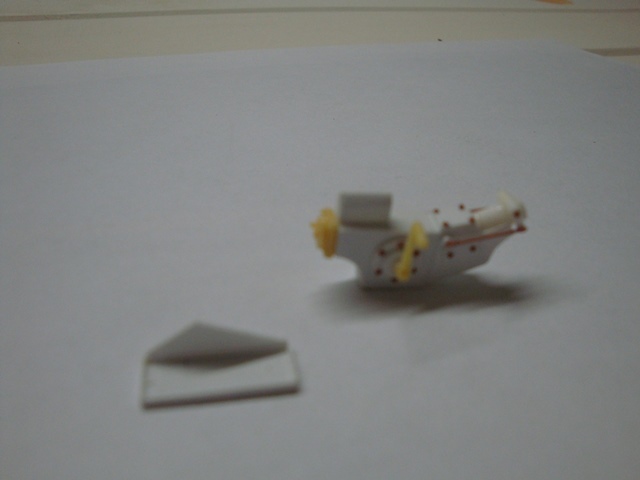 When bending the styrene sheet, a slight opening will of course occur just where the scalpel blade has undercut. 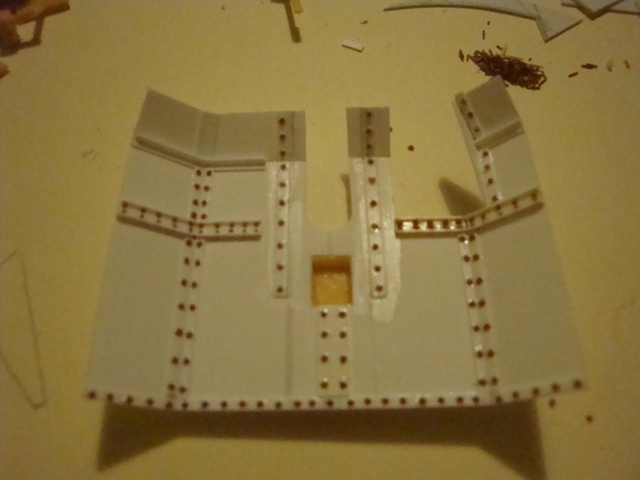 This will be filled in with a very thin styrene profile and adhesive. 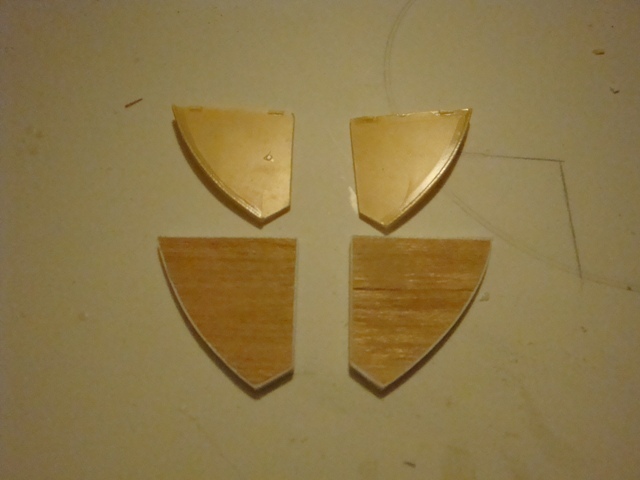 Once dry, just sand off, and the shield will pertain the true angle rigidly. found some good technical photos of the real thing. 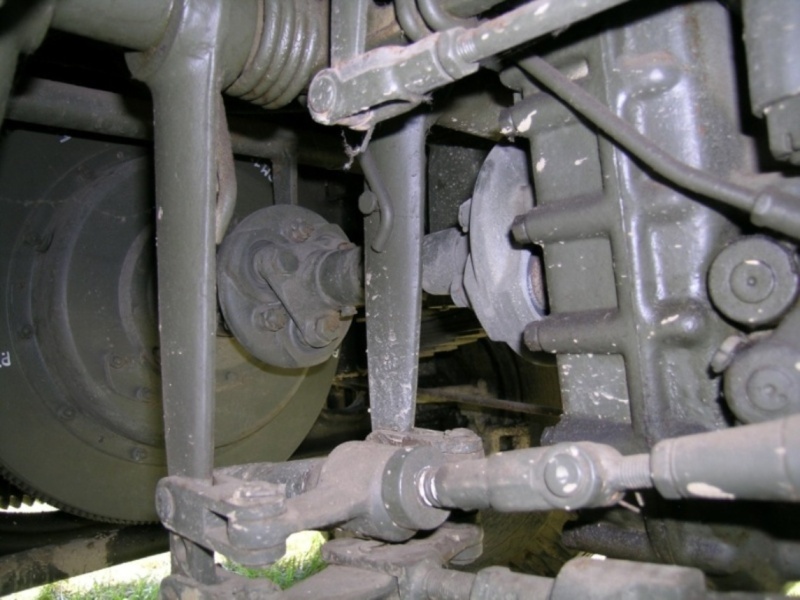 A view of the flywheel and the clutching rig system. Still have to make heads and tails out of it. 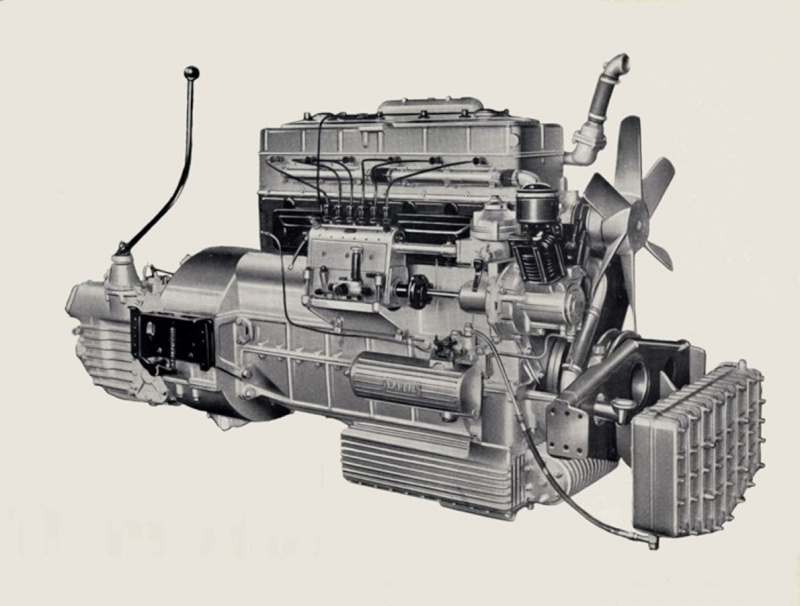 The full engine, mounted on the Lancia 3/RO. an interesting thing is the additional oil cooler. will post more pics tomorrow. Basically this weekend, I directed my efforts to get the gun shield out of the way, only to realise that my supply of rivets is seeing the bottom line, so I have to make another order. 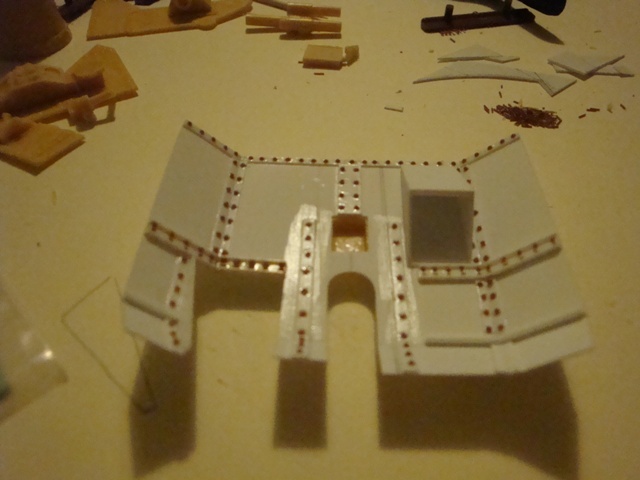 But at least the back side of the shield is ready, and the front side is well under way, so not far to go. The only thing is that the delivery if the rivets from Tichy train Group USA is lengthy, but anyway. Some pictures of the progress so far. The gun assembly prepared to allow the addition of an aluminium barrel. 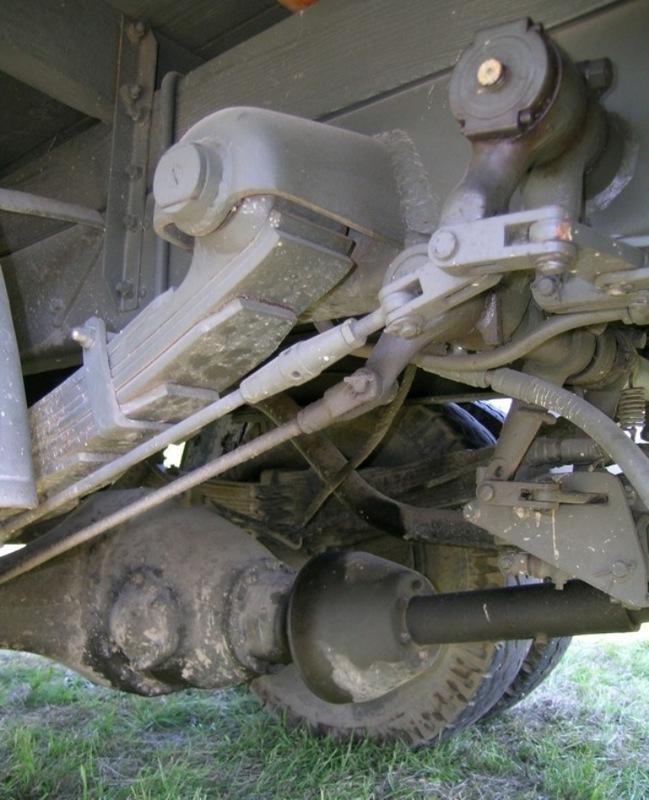 Note the warped elevation gear assemblies. Still have to find a way to correct them. 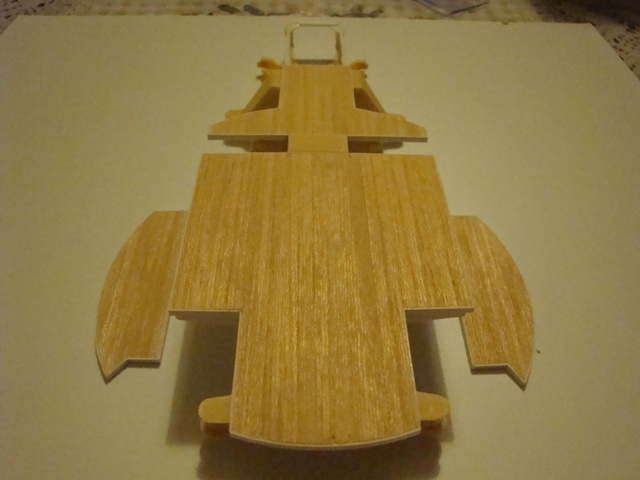 The gun shield under way. The stowage box issued with the resin kit is solid. The one I produced can be detailed. The rear side of the shield is ready. Will try to post more pics during the week. Very detailed, like all your works. I see what you mean Paul, it is looking fantastic, well done, the kit part does not even come close. Keep it up, a lovely build indeed. 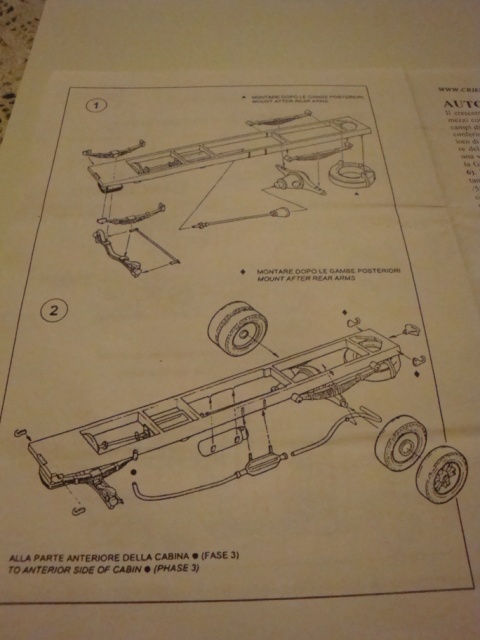 At the moment, I am assembling the gun carriage. As usual, I had to rebuild 90% of it. 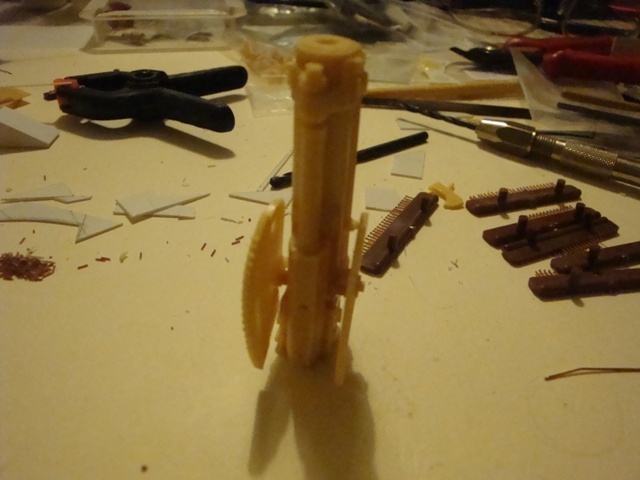 During the weekend, I will produce the gun barrel on my lathe, together with the gun pillar base stand, as the resin counterpart is a total flop. Some more progress on the base of the gun itself. I made a bit of research, and found that primarily, the 90mm gun was intended as an anti-aircraft gun for naval use. That explains why the elevation and traverse mechanism for ground mounted guns was electrically powered. 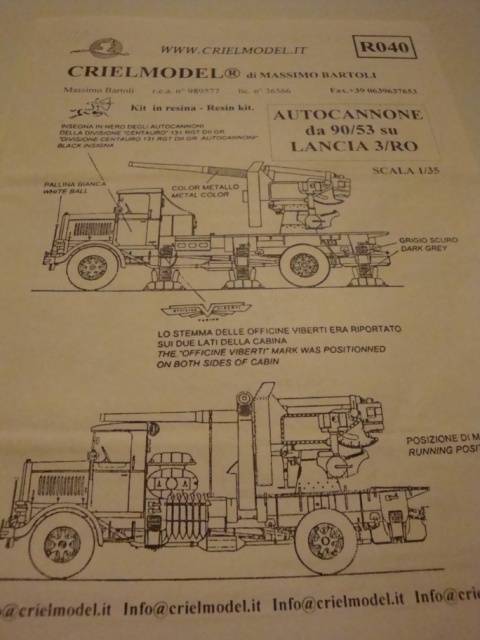 But for the Lancia truck mounted gun, the traverse was manually controlled by a geared hand wheel, while the elevation was provided by a hand operated hydraulic pump system. Again most of the work had to be carried out from scratch. 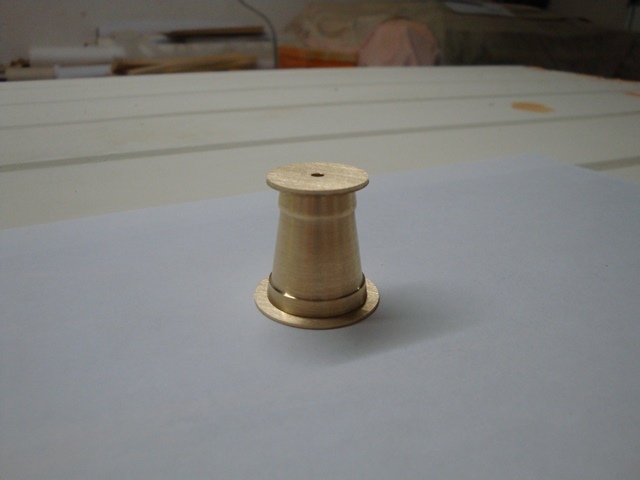 The base coloumn is made from solid brass. The gun barrel is made from aluminium. 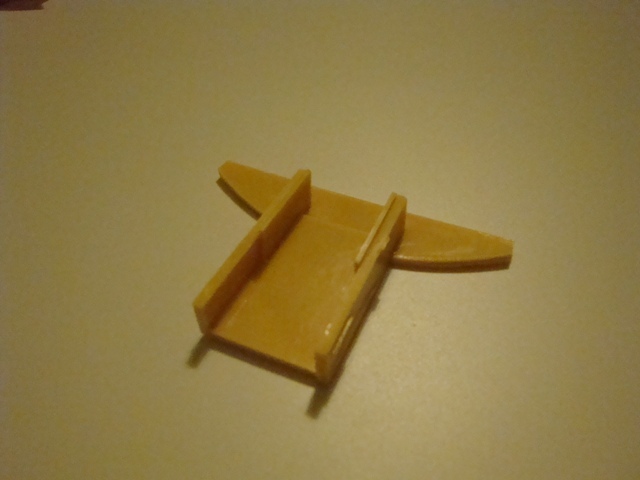 The fuse setter is made from styrene pieces and copper. 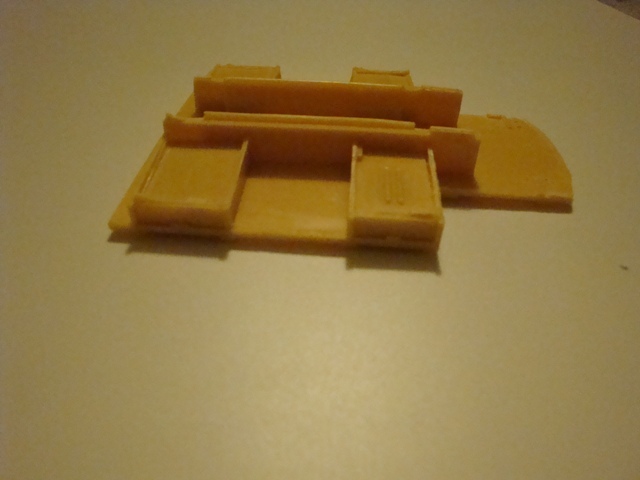 The gun cradle is made from the original pieces and styrene sheets. 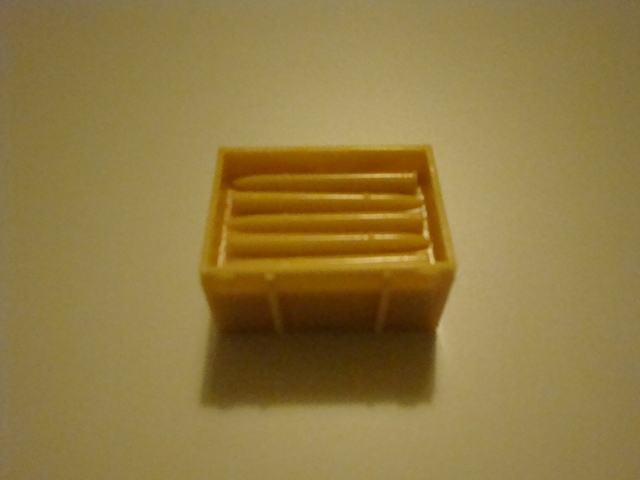 I have ordered some brass shells from RB Models, so that I can eventually complete the ammunition storage compartment. 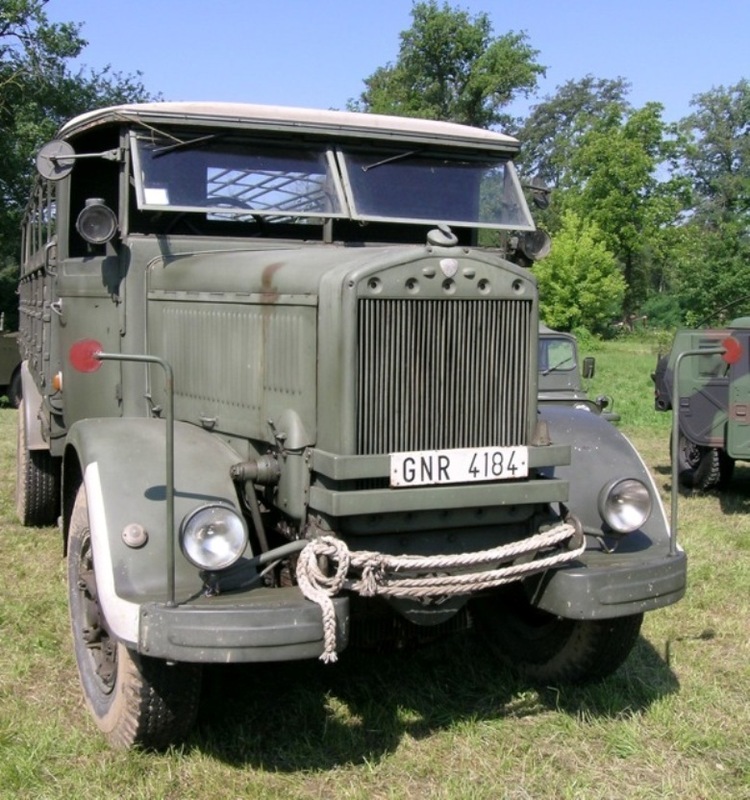 I would be very grateful if anyone could advise as from where I can buy some decent resin Italian WW2 Lancia 3/RO truck wheels. 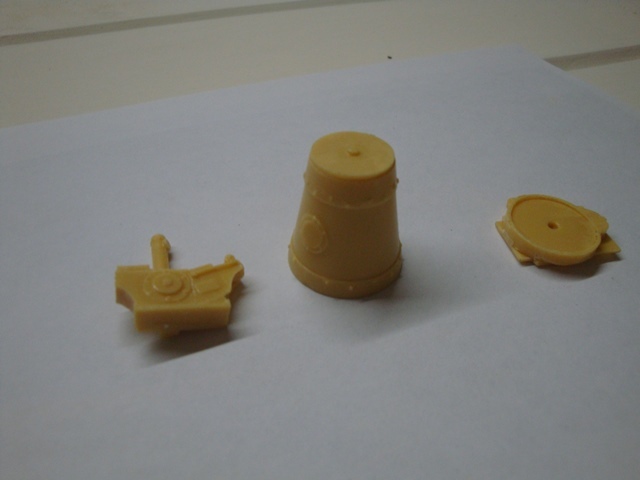 The original resin pieces. Nowhere close to what I am really after. The gun barrel, worked out from solid aluminium. Still have to correct the rear part of the gun, especially the breech, as I would like to have an open breech instead of the original closed breech. Some more extra work I suppose. The new fuse setter and the support cradle. Still some more work to do, but the result is more realistic. Sorry for the faded pic, couldn't get a better one, as the item is very small. 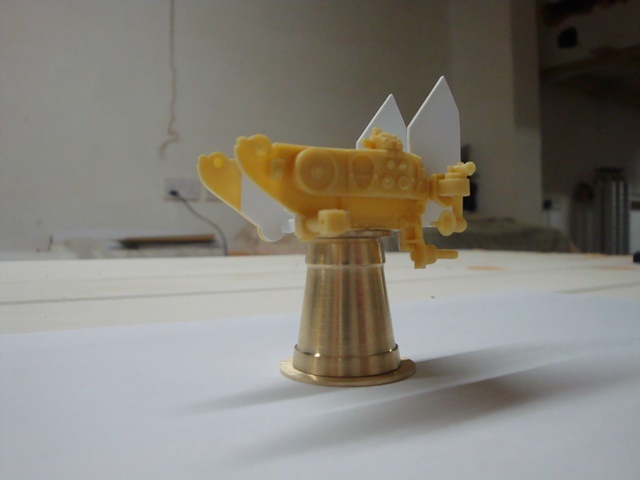 The gun base made from solid brass. Basically it is made from three pieces. Now of course awaiting primer and detailing. 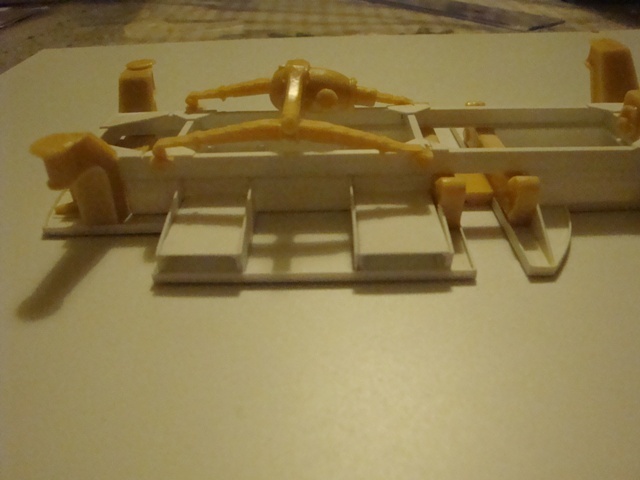 The gun cradle, using some of the original parts and styrene card. Looking great Paul, gonna be a stunner. Keep at it Paul and keep us posted. Lovely work Paul, in the end what percentage of the actual kit you bought will remain?